I can't tell you how many times I've heard friends say that they'd love to be crafty, but don't "have the supplies". They don't frequent Hobby Lobby, they don't have a stash of leftovers from other projects, they don't have the imagination to dream up complex ideas. I totally get it. You don't need any of that to make something festive. My husband brought this home. Well, he brought home something IN the bag, but as I am not a shoe girl (can I say that and still be a woman?) 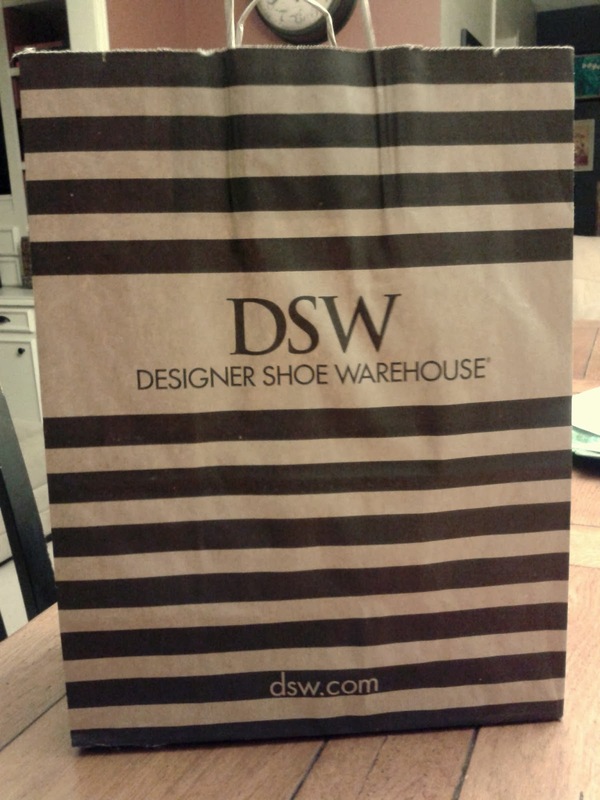 the shoes went back, but the paper bag stayed. Because I *am* a stripe girl and a lover of trash. 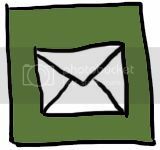 Find a piece of junk mail and make a rectangle type shape. Fold it in half and cut at a diagonal. BOOM - there's your template. Now use that template to cut some more from your bag. Punch some holes with a REGULAR hole punch, and thread onto REGULAR garden/utility twine and HOLLA because you just made something. Of course there just may be some strips of orange construction paper laying around from a child's school project that you can sprinkle in if you wanna. Then you can throw a baby pumpkin from Kroger on your otherwise "everyday" mantel and call it decorated for Halloween. P.S Don't put that twine away. You still have half of a bag left and a birthday gift that needs wrapping. Make it work. 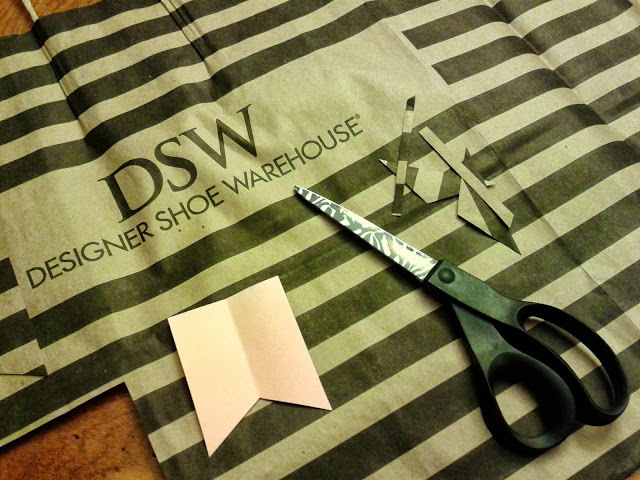 I'll never look at a DSW bag the same again! Clever. You did it again. That is so cute! Very cool idea! I agree, anyone can be crafty, they just need someone to show them how. There are so many great ideas out there and this is one of them. I'm pinning this and I'm sure there will be tons of people who will love it! Thanks! blown. totally blown. you can do more with a paper bag than anyone else on earth. really. i am making a garland as we speak....and it's 11:30. thank you. i am obsessive that way. That is why there are creative and talented people like YOU in the world. To show us who only see a paper bag that there is so much more than that. Thank you for always widening my horizons. Love it! 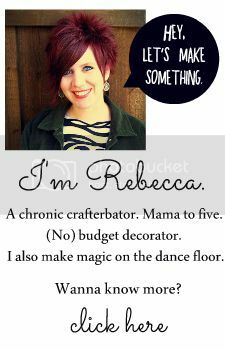 You make me want to get rid of my ridiculous craft supply stash. Almost.